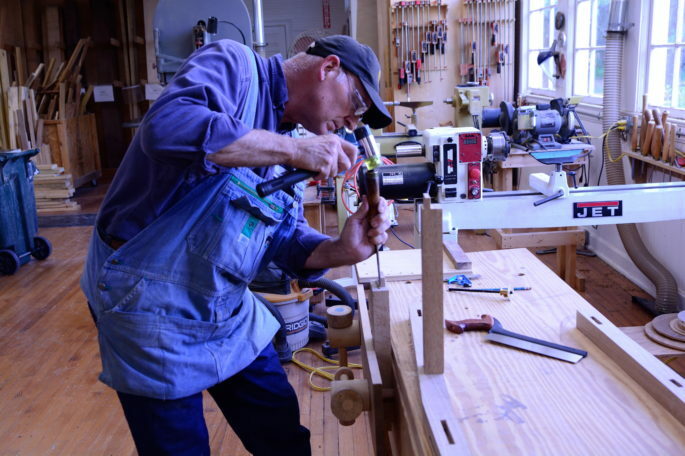 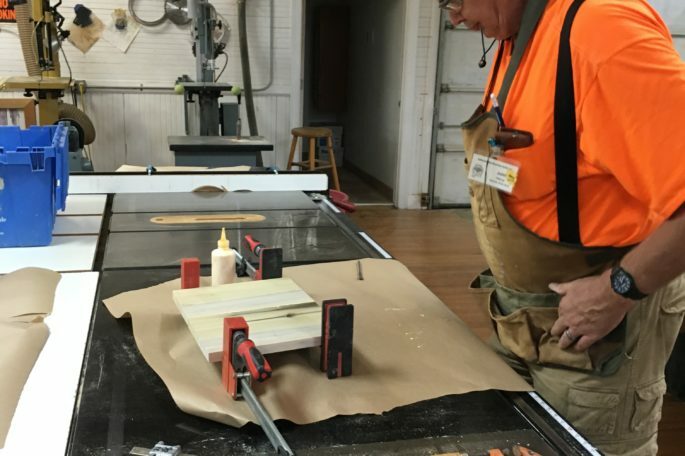 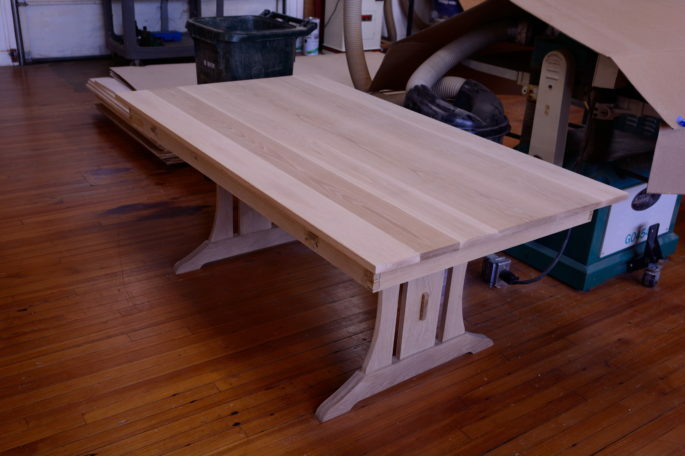 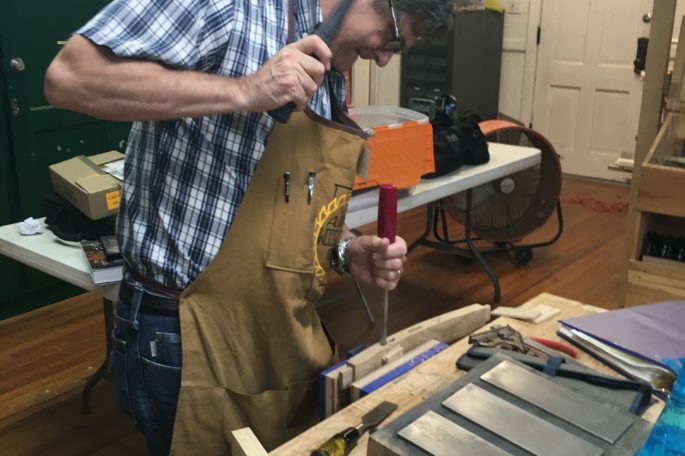 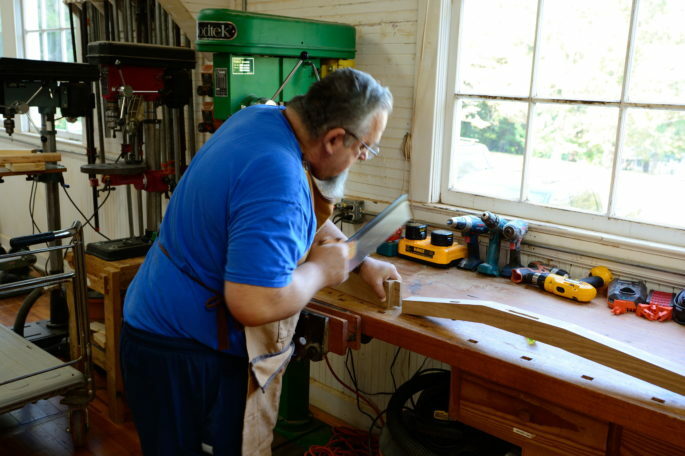 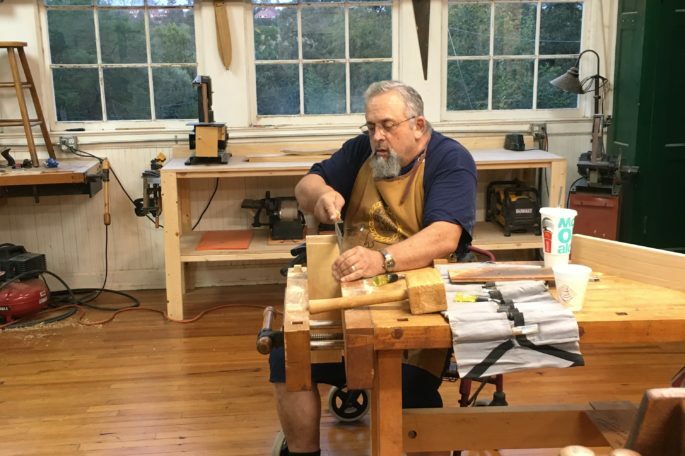 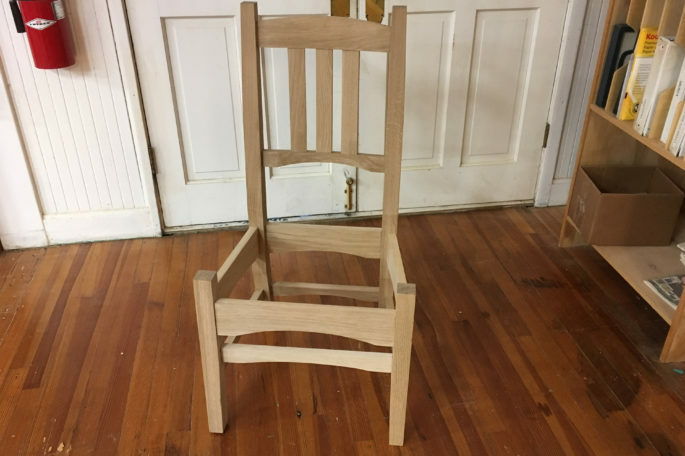 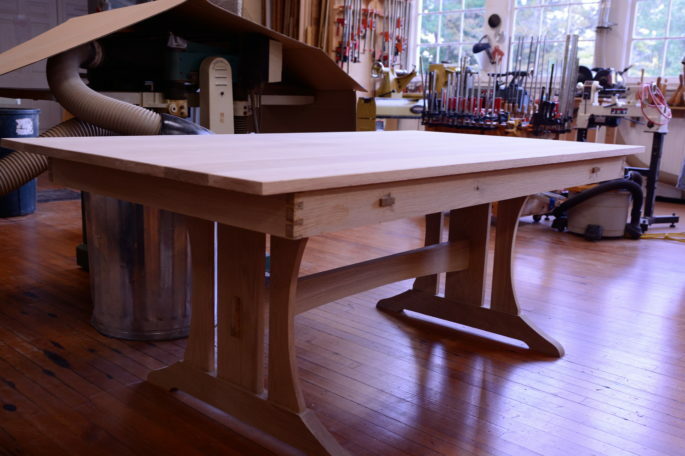 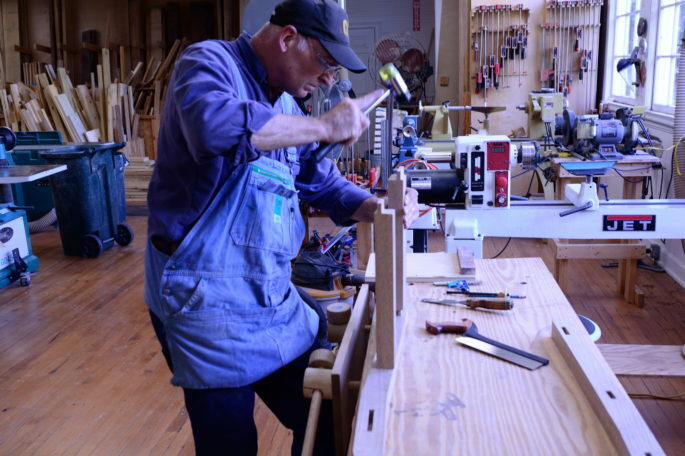 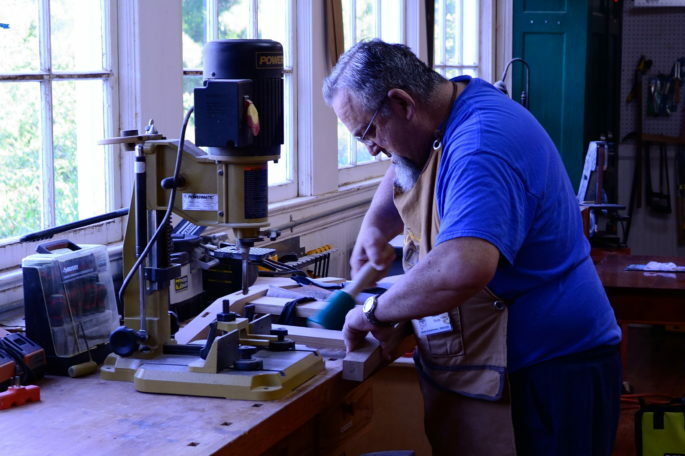 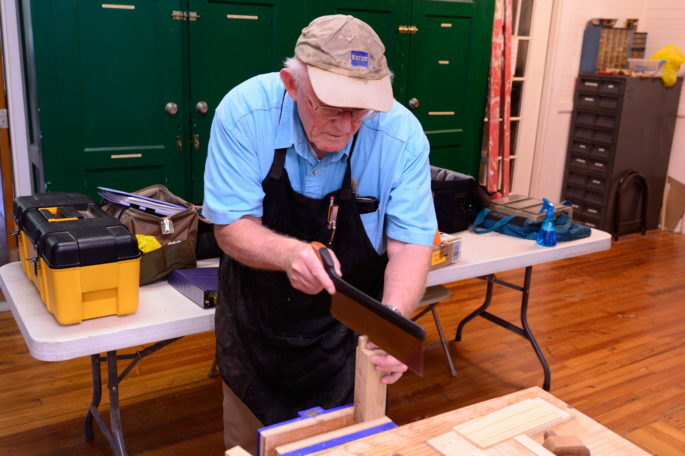 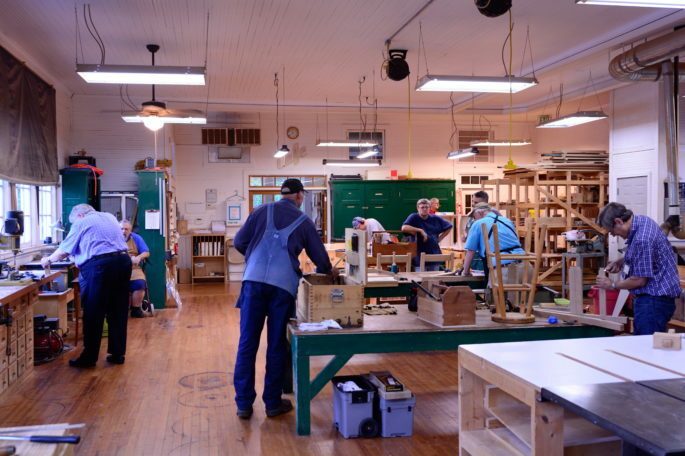 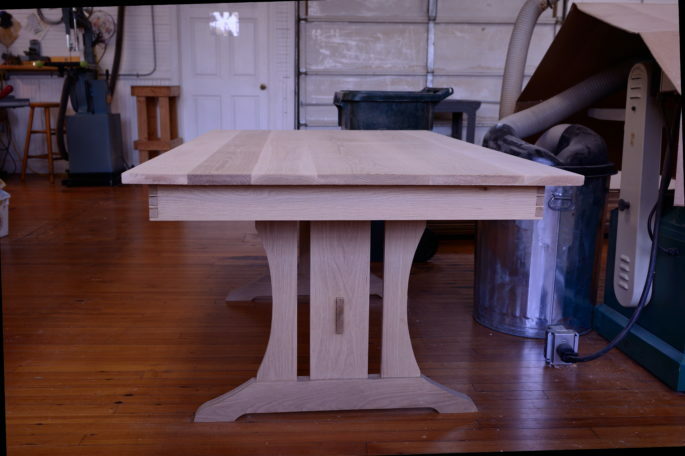 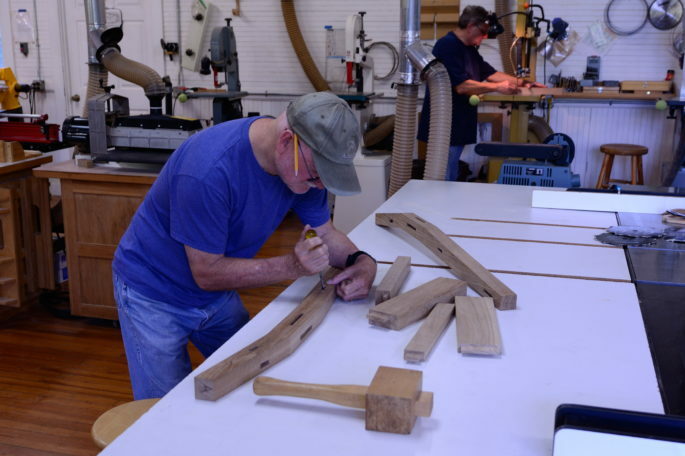 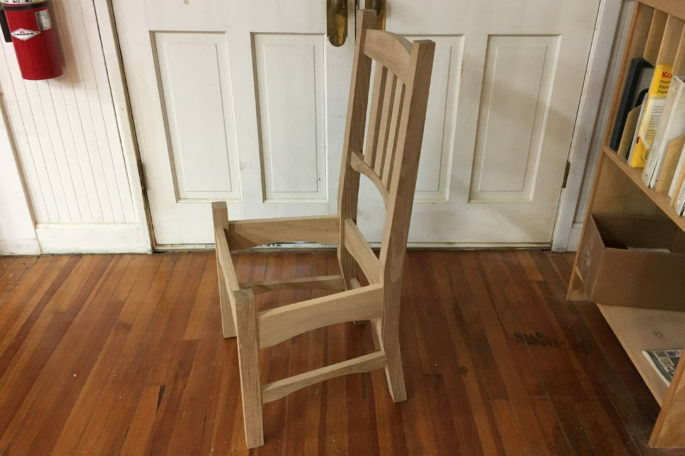 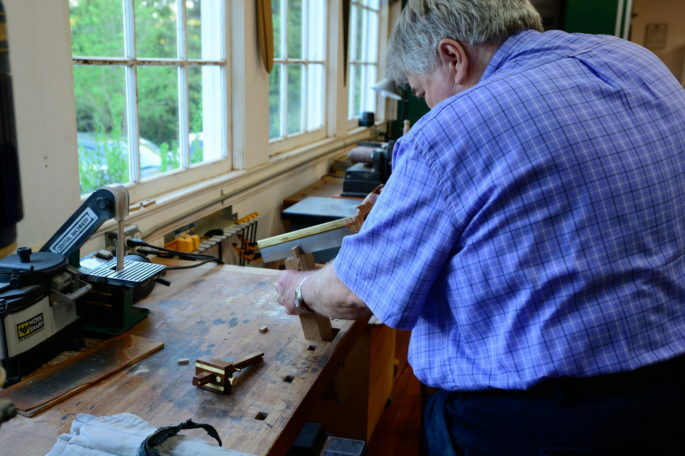 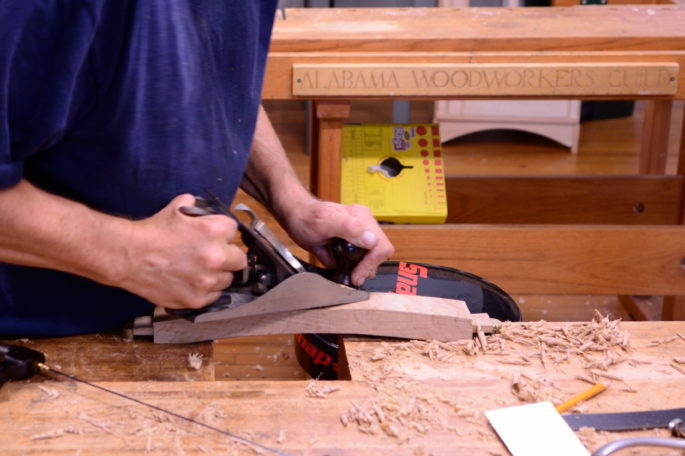 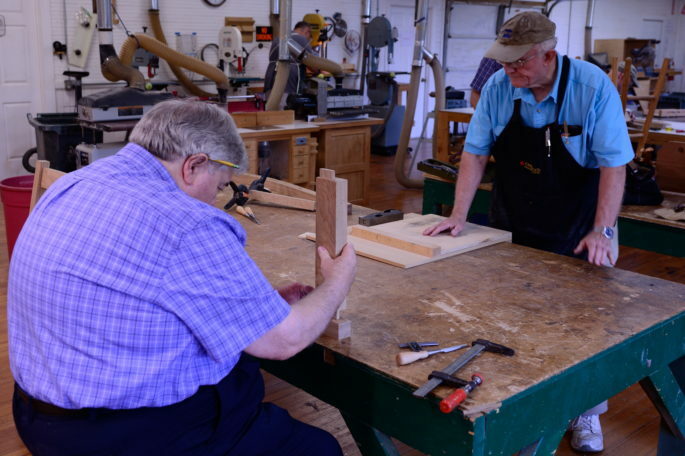 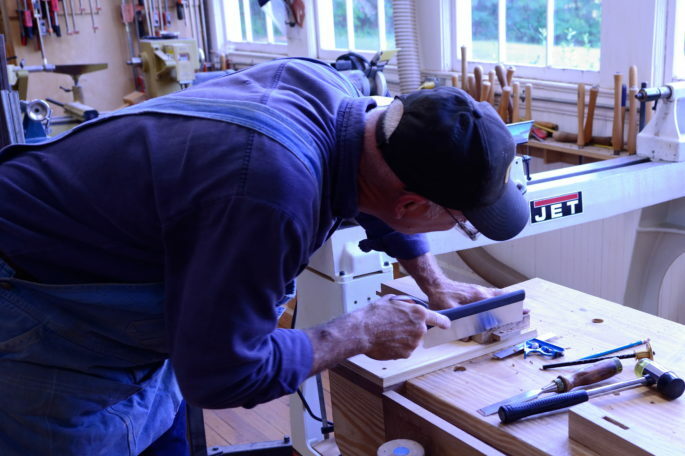 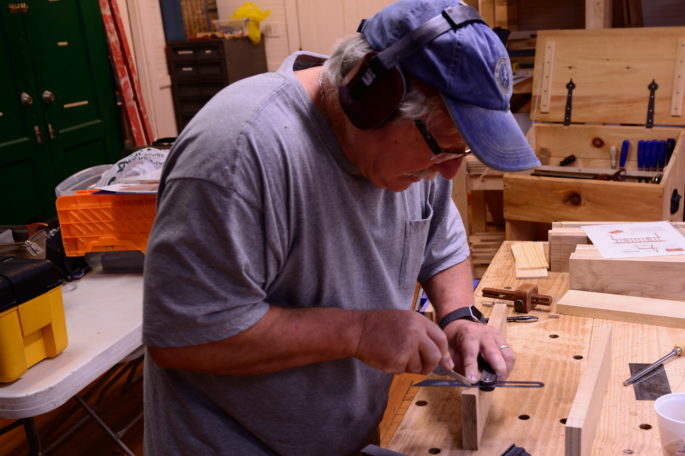 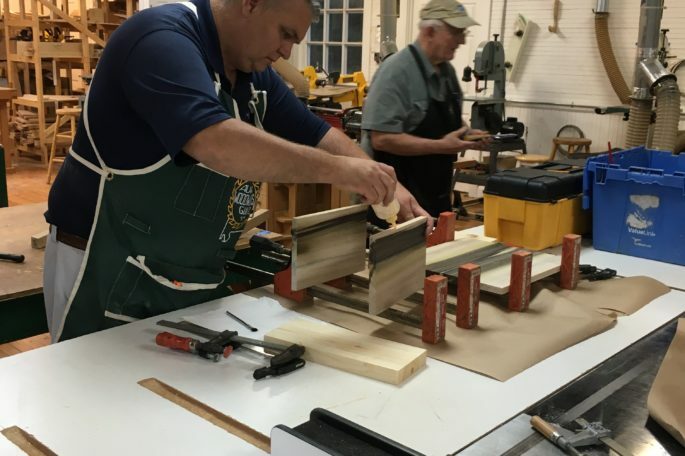 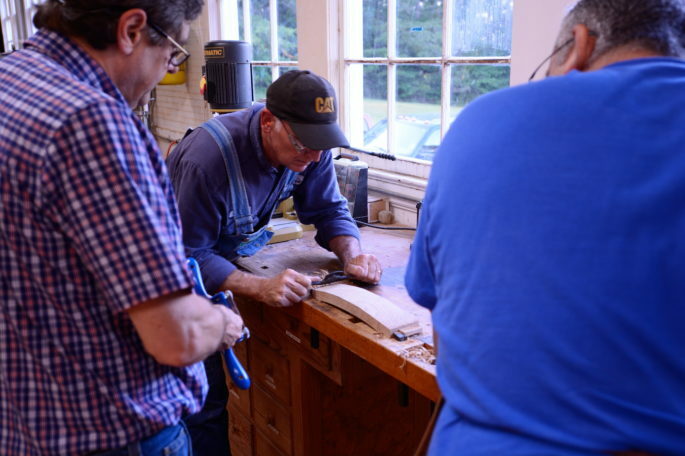 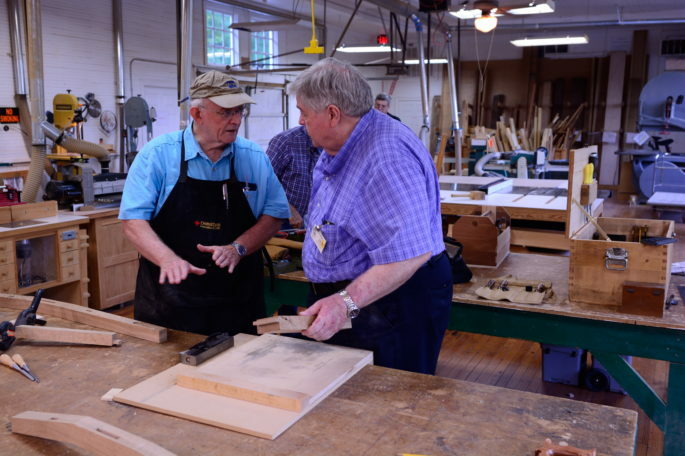 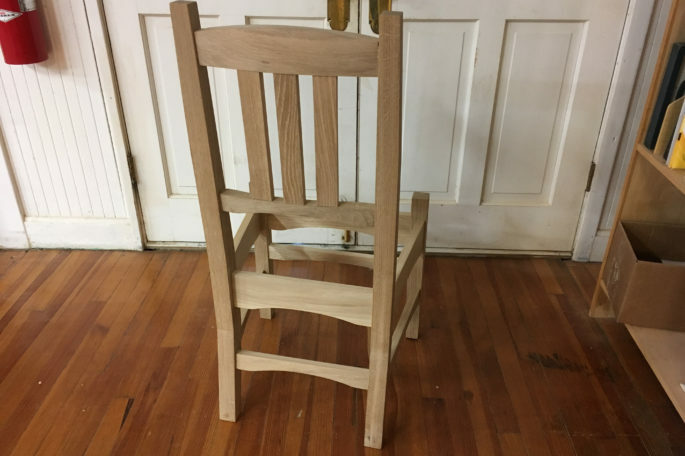 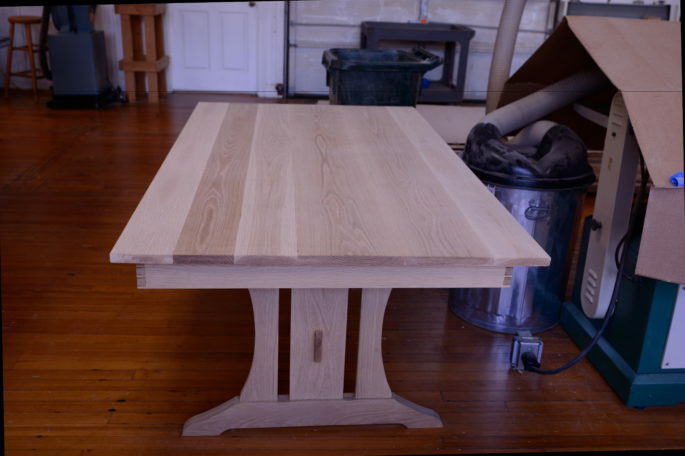 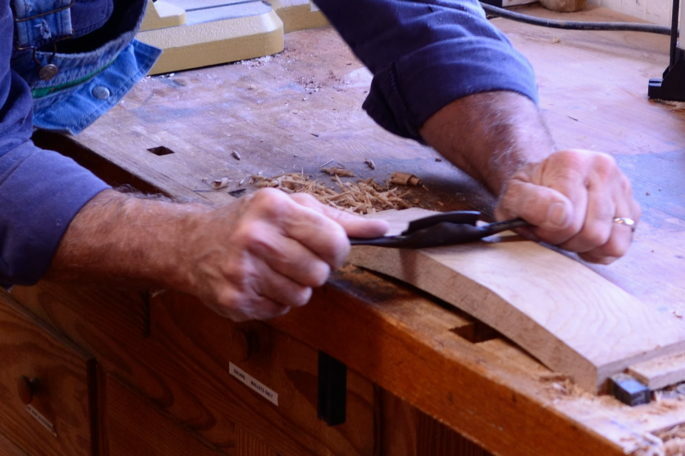 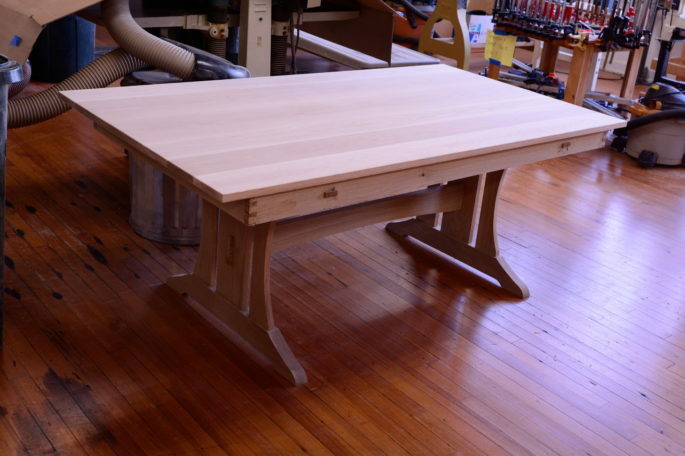 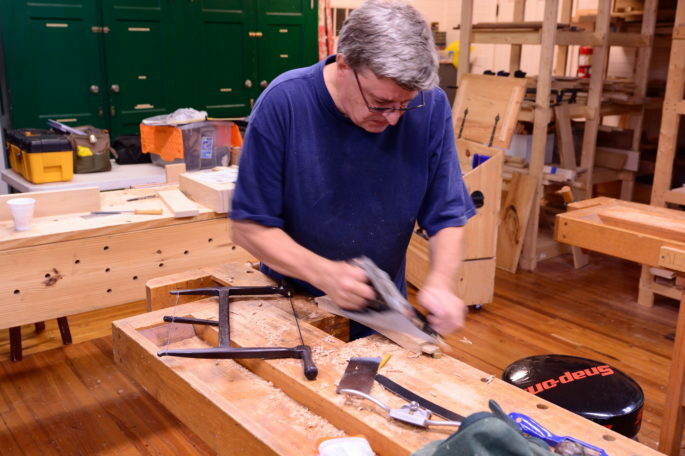 Hand Tool Group – Alabama Woodworkers Guild, Inc. 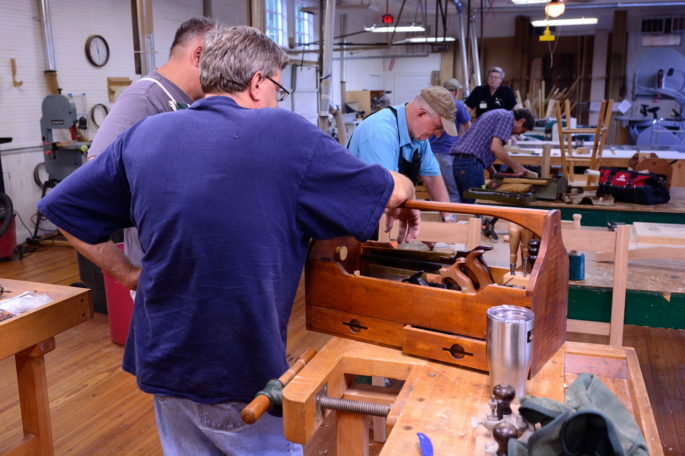 It's busy on Thursday evening in the Hand Tool Group. 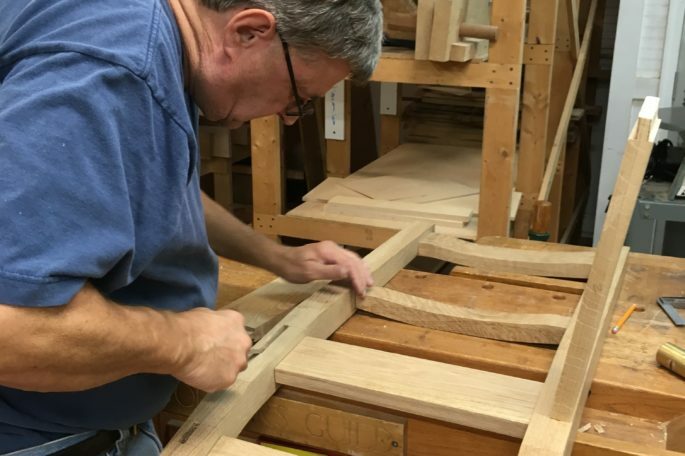 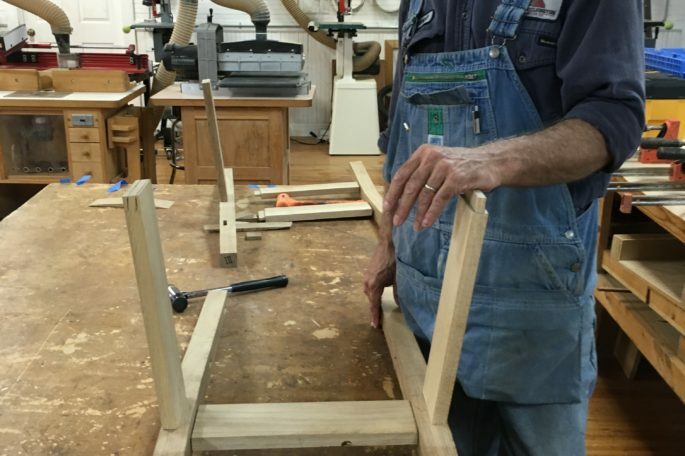 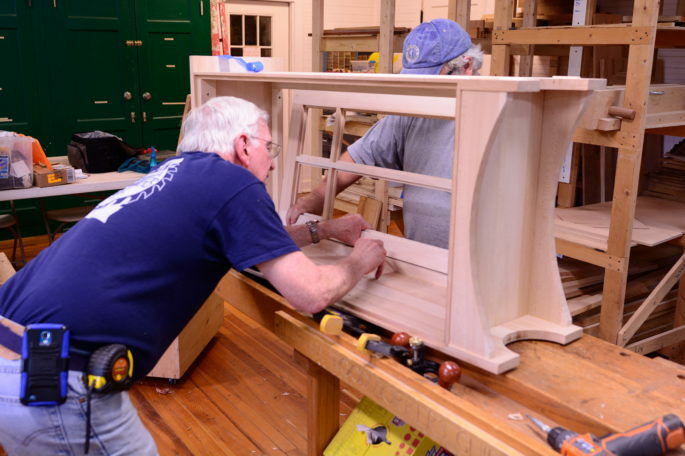 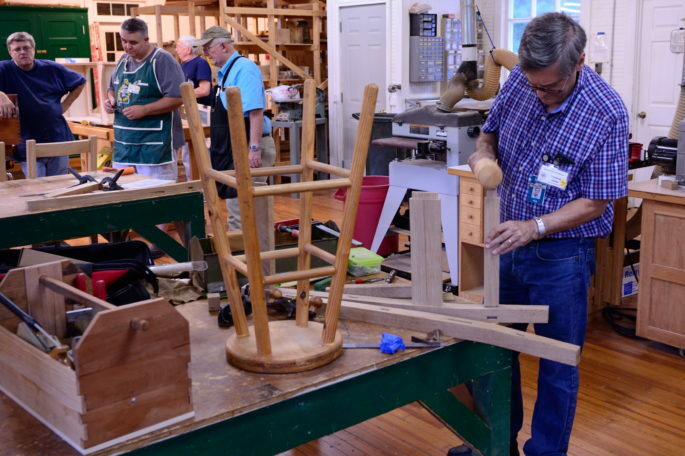 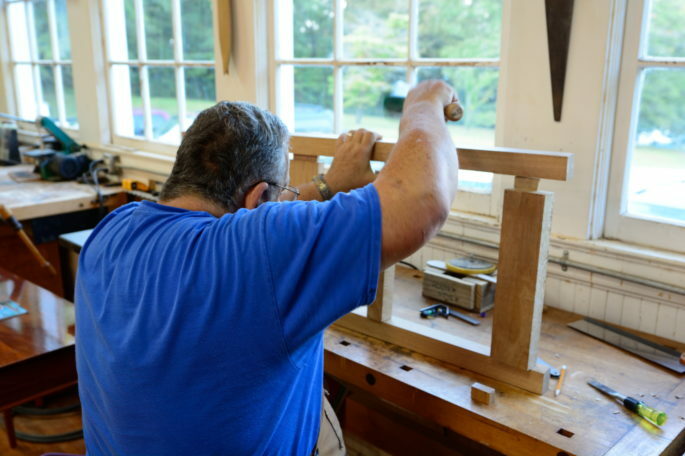 Here are some photos from September 8, 2016 as the members work on a set of chairs to go with the trestle table they recently completed. 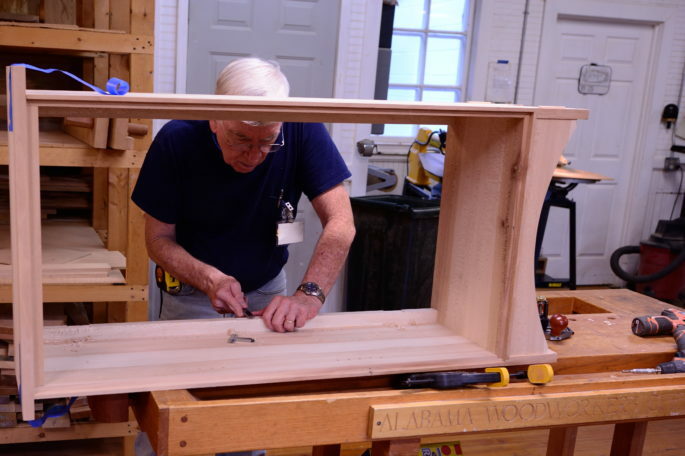 Also work is progressing on a book case from an earlier class. 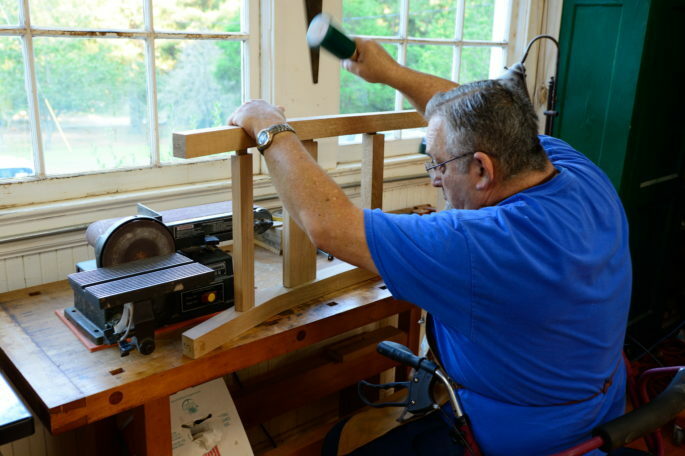 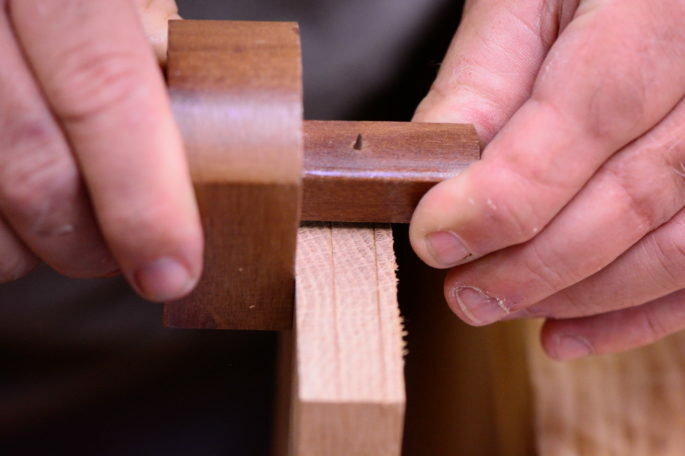 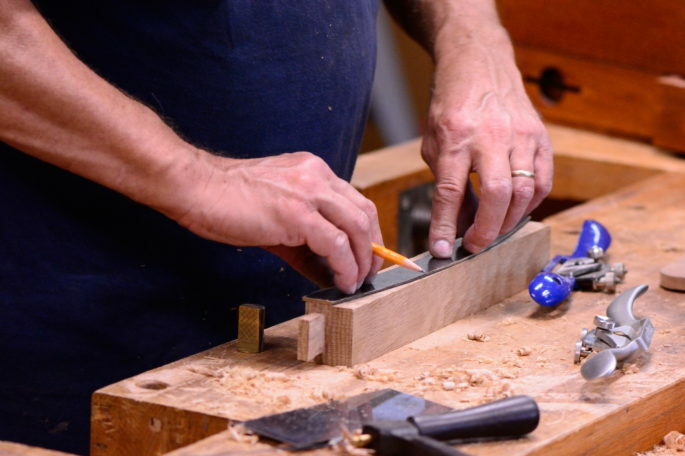 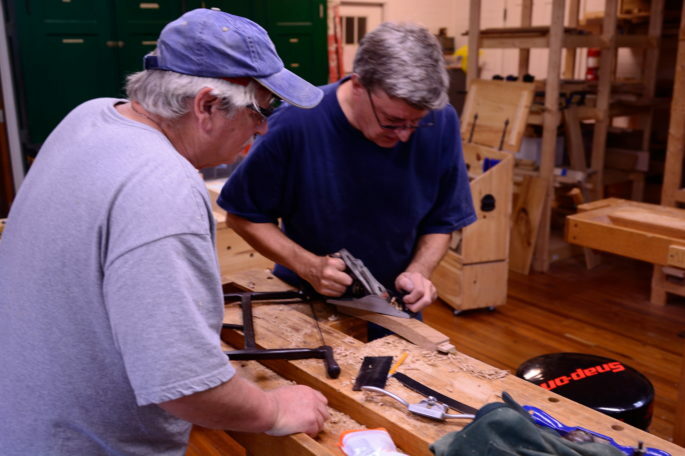 Hand tool group is meeting Thursday evenings, 4:30pm-9:00pm. 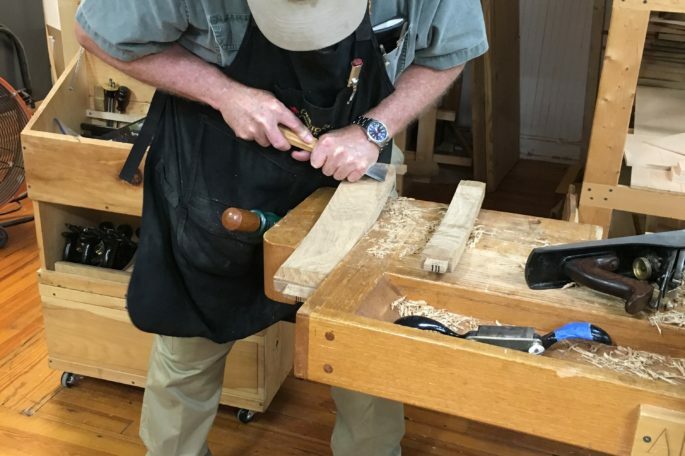 Join us and learn something new.